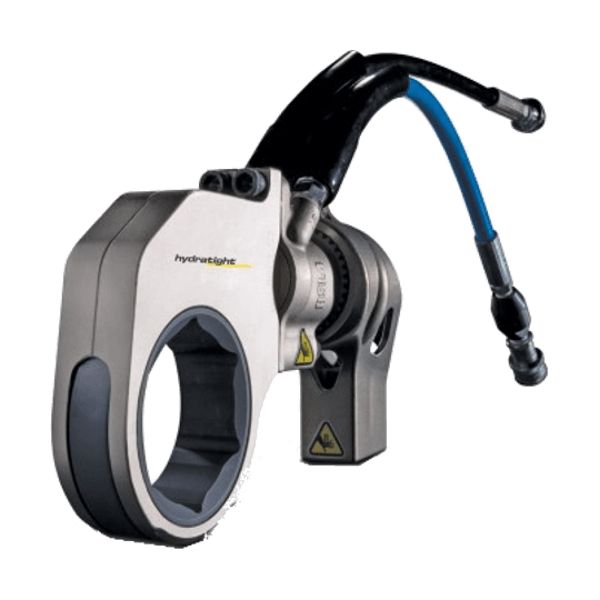 Pickford offers a large selection of Hydratight hydraulic torque wrenches, RAD pneumatic torque wrenches, and RAD electric, electronic, and battery powered torque wrenches for rental, for your industrial construction and maintenance needs. Hydratight Hydraulic Torque Wrenches (RSL Series) are light weight, simple to maintain, and durable. Torque ranges available from 123 ft.lbs to 28,002 ft.lbs. Hex wrench head design available in 1-1/4" to 6-1/8" and square drive available in 3/4" to 2-1/2" sizes. 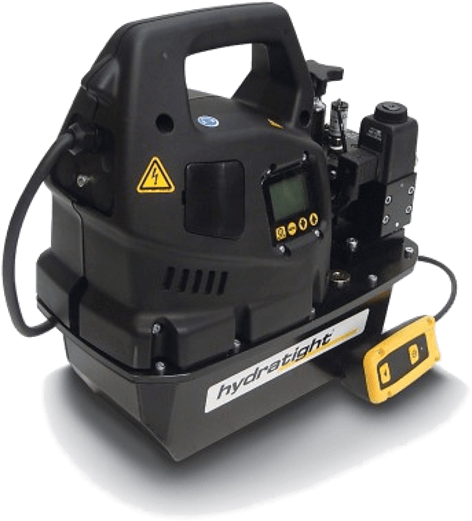 Hydratight Hydraulic Torque consoles are specifically designed for use with hydraulic torque wrenches. They are available either Electric or Pneumatic powered. 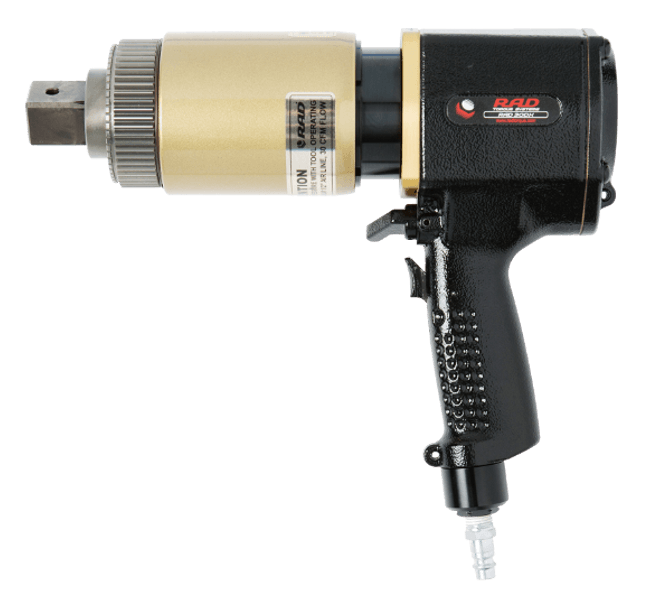 RAD Pneumatic Torque Wrenches are a continuous rotation, controlled torque tool available in torque ranges from 50 ft.lbs to 8,500 ft.lbs with only 100 psi max air pressure. +/- 4% Accuracy. Square drive available in 3/4" to 1-1/2" sizes. RAD Electric Torque Wrenches are available in either "dial a torque" or digital versions up to 2500 ft.lbs, ideal when compressed air is not readily available. 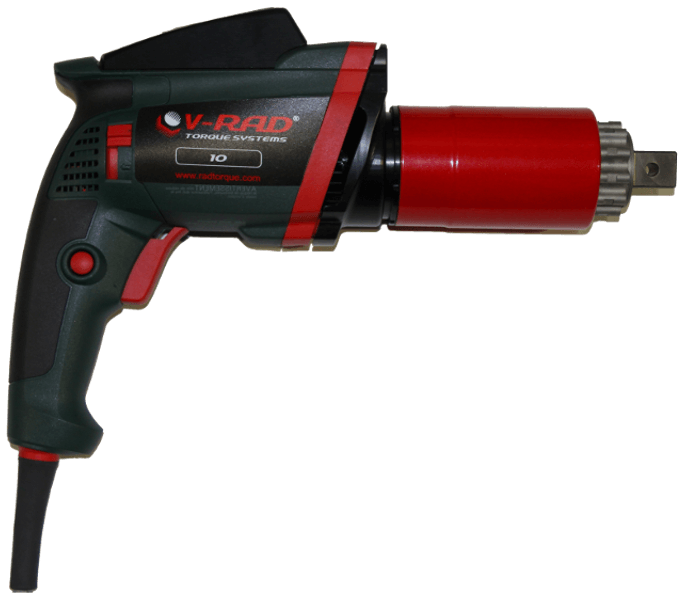 RAD Electronic Torque Wrenches are digital servo controlled torque wrenches up to 7500 ft.lbs with +/- 2.8% accuracy. These tools are capable of data collection and torque/angle measurement and are Bluetooth enabled. 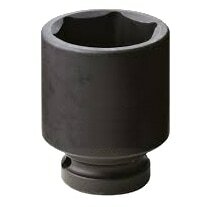 Six point sockets are available for rent in 3/4" drive to 2-1/2" drive, for nut sizes 1-1/4" to 5-3/8". Controlled bolting is the application of a known and verifiable force on a bolted joint. Controlled bolting is used in most areas of industrial, construction, and maintenance services. One of the most common forms of controlled bolting is torquing, the controlled rotation of a nut to introduce a clamping load to a fastener. Torquing can be manual with a torque wrench or torque multiplier, pneumatic with a pneumatic torque wrench, electric with an electric, electronic, or battery powered torque wrench, or hydraulic with a hydraulic torque wrench system. Pickford can supply rental torque tools to all of Western Canada including Manitoba, Saskatchewan, Alberta, and British Columbia from our 40,000 sq.ft. Edmonton warehouse.